More snow today. The post office didn’t deliver mail on Forest Avenue for, like, a week during the last blizzard. I sure hope that doesn’t happen again. Malcolm’s Galdwell’s New Yorker article, “Most Likely to Succeed” may be appropriate for national policy and state policy makers, but excelling districts may find their circumstances different than the circumstances prompting Galdwell’s recommendations. Galdwell’s primary reference is Eric Hanushek, a Stanford Economist and prolific writer specializing on education. In general, Hanushek believes teacher quality policies are more effective than policies resulting in smaller class sizes. I feel Hanushek’s (and therefore Galdwell’s article) isn’t applicable to all circumstances. Directing resources to teacher quality programs is on the surface a worthy goal, but in practice, teacher quality programs have less to do with student outcomes than pay-for-credential salary bumps for continuing education and other qualifications with no anchor in student performance. There must be an understanding about what is meant by teacher quality and what is meant by class size. Hanushek’s main premise of relating teacher quality to student outcome is focusing on improving student performance by replacing the left tail of the teacher quality bell shape curve. Actually, Hanushek’s research identifies gains by replacing poor teachers rather than training mediocre or excellent teachers. Political realities make this an untenable possibility. Replacing underperformers (job stability) is significantly different from shifting the teacher quality bell shape curve right. Hanushek states that those teachers near the top end can get “an entire year’s worth of additional learning” than those teachers at the bottom end. Class size is often used interchangeably with pupil-teacher ratio. As any parent knows, the pupil-teacher ratio is significantly different than class size. Indeed, Hanushek clearly acknowledges that “pupil-teacher ratios are not the same as class size.” I am not a researcher, but I don’t understand how his papers pass peer review when he takes liberty in interchanging pupil-teacher ratio with class size, seemingly on the grounds that pupil-teacher ratios is the only data available over time. Hanushek’s research documenting pupil-teacher ratios decreasing 35% from 1950-94 is used to minimize the benefits of improving class size. Again, pupil-teacher ratios are different than class size. To Hanushek’s credit, he gives reason why pupil-teacher ratios improved over the decades without a corresponding increase in student performance. Students are more poorly prepared or motivated today than in years past. More children are living in poverty and more children are living in single parent households. Therefore, more non-instructional staff is employed simply to help students reach the start point for beginning value added instruction. Briefly returning to Gladwell’s article, I chuckle when he writes about “withitness” using a classroom setting of seven children. Is that “withitness” or is that small class size enabling teachers to use existing skills. Hanushek then summarizes 90 pupil-teacher (different from class size) studies on student performance that form over 377 “production function estimates” that pass a minimum quality standard. I don’t want to imply I am qualified to evaluate his statistical analysis, but the analysis seems to weight all “function estimates” equally once they fulfill his minimum standard. These 90 publications are not noted to be prospective or retrospective and he does not comment to the studies randomness. There are no references to control groups and the “minimum quality standard” of being “published in a book or journal” seems inadequate to draw policy for specific locales. Furthermore, he does not differentiate studies conducted at the local or district levels, which might focus on either class size or pupil-teacher ratio and those studies conducted at a higher or aggregate level, which inevitability focus on pupil-teacher ratio. Amassing all this data together, he basically concludes that the same number of “function estimates” show positive (15%) as negative (13%) relationships on student performance. He then concludes there is not definitive research justifying resources to class size (an incorrect extension of pupil-teacher data) for improving student performance. This brings me to the State of Tennessee’s Student/Teacher Achievement Ratio (STAR) report. A report that substantiates what parents, teachers and students know to be true. That class size (again different than pupil-teacher ratio) has a statistically positive influence on student performance. Statistically significant immediate and long term benefits to warrant prioritorizing limited resources or basing school selection on class size over other programs. The STAR report is recognized as a seminal research project having used over 12,000 students in 79 different schools costing Tennessee over $3 million dollars. The value of the STAR report is that its specificity enables localities to identify control groups resembling their demographics. Policies sometimes result from research that does not fit the demographics being served. As appropriate, many studies seek to find solutions to improve our poorest producing schools, ie inner city, rural, high % of reduced lunch cost etc. STAR attempts to differentiate between lower producing schools and better producing schools, ie “outlying areas of metropolitan cities are classified as suburban.” STAR’s research includes high social economic students (SES) and established regular class sizes (22-24) and small class sizes (14-16). Although never identical, STAR has a control group that closely resembles local districts. 1. Each of the four years, small class students (14-16) in both reading and math (as well as other SAT subtests) achieved significantly higher test scores than students in regular classes (22-24). 2. The small class effect is concentrated in kindergarten and Grade 1. Thereafter the small class effect declines slightly, but is still significant at the end of Grade 3. 3. Classes with a full-time aide had higher achievement scores than regular classes in kindergarten through grade two but the differences were small and not statistically significant in kindergarten and second grade. In grade three the regular/aide classes’ scores were slightly lower than the regular classes. In the first grade, regular/aide classes were significantly higher than regular classes in both reading and math. 4. Math and reading effects are similar. 5. Small classes help low socioeconomic student (SES) achievement, but they help high SES student achievement about as much. These results indicate that there is no differential effect of a small class that favors low achieving or low SES students over average students or high SES students. The class size effect is “across the board” for all students. 6. Small classes reduce grade retention. Teachers are more willing to promote marginal students in small classes. 7. Teacher In-service Training Did Not Improve Student Achievement. There were not significant differences in student achievement in reading or math in either the second or third grade between classes where the teachers were trained and all the other classes where teachers had not received special training. 8. Few differences in grouping practices were observed among K-3 small, regular, and regular/aide class teachers. 9. Parent/Volunteer Teacher interaction. Small class teachers were more likely to phone, write, or confer with parents about student accomplishments and good behavior than were regular or regular/aide class teachers. In addition, small class teachers reported less frequent communication with parents regarding student misbehavior or learning problems. I freely admit to the controversy regarding STAR. 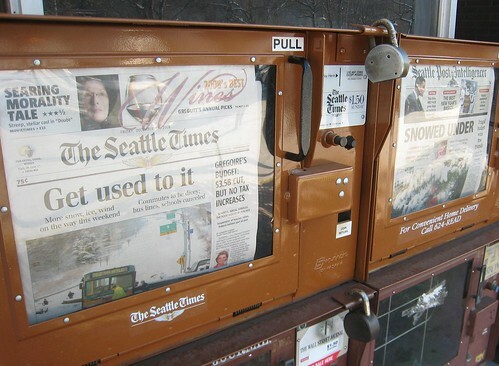 Since its publication, many papers have been written attacking its findings. A “STAR Class Size” internet search produces over ½ a million hits. In an attempt to re-validate the STAR’s findings, a follow up report by Charles Achilles and Jeremy Finn (original authors of STAR and therefore biased) was issued in 1999. They not only re-affirm their findings but made longitudinal observations. Why are small classes relevant? In general, teachers of small classes do not, de facto, alter their primary teaching strategies. Small classes are academically superior not because they encourage new approaches to instruction but because teachers can engage in more (perhaps even enough) of the basic strategies they have been using all along. Finally, Finn and Achilles point out the obvious that small classes increase student engagement. “In a small class, every student is on the firing line.” And that is what every parent wants for their child, that their student is front forward on the teacher’s firing line of developing academic achievement. Again, keep this sliding bar of research purity in mind when he criticizes studies counter to his hypothesis. Ibid, p12. Again fair enough to set a quality standard (see his footnote 13 for specifics) to establish credibility, but then he does not maintain consistency in recognizing the efficacy of reports counter to his hypothesis, ie STAR report. Haushek, ’98 P.20. Haushek makes many references to the 1966 Coleman report. A Congressionally mandated study by the U.S. Office of Education suggesting that schools did not exert a very powerful influence on student achievement. I confess as not having researched this document. All research is not equal. Looking at how this wann-a-be sailor tied my charter to the dock, my instructor commented that a “bunch of bad knots don’t equal a good knot.” I view the specific STAR report as trumping the many lesser reports that Haushek gets away with putting on the same level. “The State of Tennessee Student/Teacher Ratio (STAR) Project,” Tennessee State Department of Education. See http://www.misd.k12.wa.us/departments/superintendent/class_size/documents/FinnAchilles.pdf or spend $15.50 for the original report: Tennessee State University, Center of Excellence for Research in Basic Skills, 330 10th Avenue North, Nashville, TN 37203-3401. “The State of Tennessee Student/Teacher Ratio (STAR) Project,” Tennessee State University, Center of Excellence for Research in Basic Skills, 1985-90, P.2. Our local class sizes are about the same size as STAR’s control group of 22-24, ie 20.5:1 21.0:1 22.0:1 Kindergarten 24.5:1 24.0:1 24.3:1 1st Grade 21.5:1 22.8:1 23.3:1 2nd Grade 23.3:1 24.8:1 22.8:1 3rd Grade, http://www.misd.k12.wa.us/departments/superintendent/class_size/current_class_size.html. “The State of Tennessee Student/Teacher Ratio (STAR) Project,” Tennessee State University, Center of Excellence for Research in Basic Skills, 1985-90, P.17-23. Aides in the classroom not having significant improvement over classrooms without aides was counter-intuitive until I thought about my small times volunteering in classrooms. I found my volunteering more beneficial in comparing my child’s position amongst his peers than the help I gave to students. The nuances I gleamed in spending “intense” time with students in the form of “book in the bag” or grading “mad minutes” is very difficult to communicate to the teacher. I think this is a significant finding for our local area. According to OSPI data, http://reportcard.ospi.k12.wa.us, Mercer Island has one of the highest WASL (granted it’s flawed but the test is better than nothing) scores in the public school tested population. This is a sensitive subject suggesting that teacher training, LID etc is more an issue of compensation than student performance. Ibid. ie Teachers have enough tools in their tool box, they just need the time on student (intensity) to use those tools. Said another way, small classes allow less time to be spent on classroom management and more time to be spent on instruction. I love reading the Cliff Mass weather blog, which for some reason seems more accurate than many of the local TV and web sites I follow. 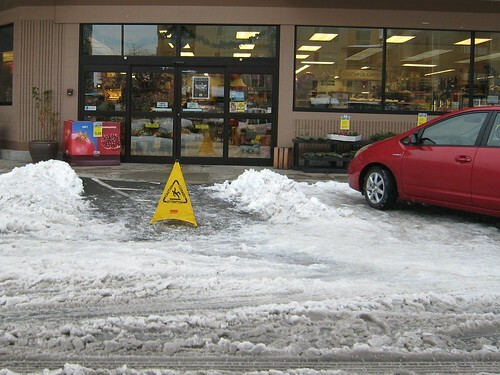 Snow shovels have been hard to find during December, as have been generators, tire chains and other bad-weather equipment. Also in short supply has been a best-selling new book that explains exactly why the weather around here turns so nasty and is so difficult to forecast. Best-selling author Dr. Ned Hallowell discusses what really matters in raising our children. The Childhood Roots of Adult Happiness: Five Steps to Help Kids Create and Sustain Lifelong Joy reminds us that our vital connections with our children provide the essential ingredients of happiness: resilience, optimism, playfulness, connectedness and a can-do attitude. 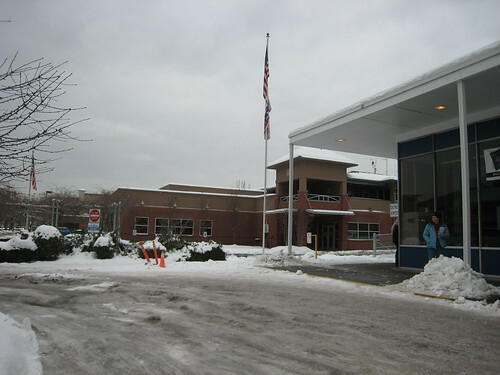 Island Park School reports happier and safer recesses since implementing a program based on Dr. Hallowell’s book. His hopeful message and practical steps will guide parents and benefit children of all ages. We’re all familiar with the downside of homework: frustration, exhaustion and nagging. But we assume it’s worth it because homework promotes higher achievement and responsibility, right? Maybe not so right. World-renowned education and parenting expert Alfie Kohn discusses The Homework Myth: Why Our Kids Get Too Much of a Bad Thing, his stunning exploration of how homework fails our children, why it’s widely accepted, and what we can do to rescue our children’s motivation and love of learning. Slowly but surely life is coming back to normal. 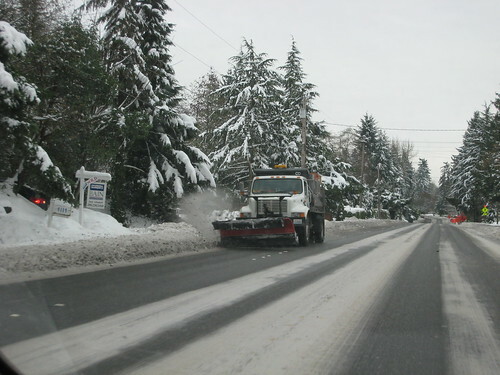 Quite a few other plows around too: I saw somebody snowblowing up 86 and many other places. Today’s warm temperatures and no precipitation are helping make the streets a little more passable, just in time for Christmas. We are socked in with ice and snow everywhere, making it hard to get around. 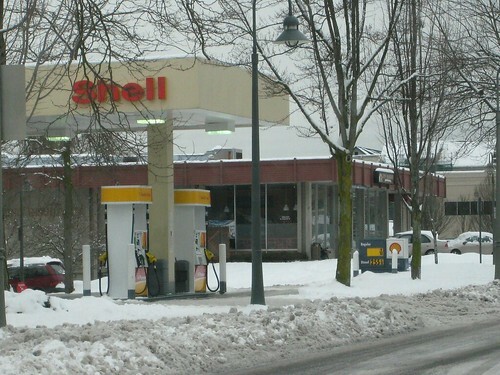 Apparently even the delivery trucks are stuck: there’s no gas now at the Shell station. (See, they took down the price sign). I thought it was cute that the “owner” of the Youtube channel is listed as “age 48”. The City, of course, was incorporated on July 5th, 1960..
Island roads have been terrible since the Big Snow hit on Thursday leaving many of us stuck in our homes, afraid to take our cars up and down slippery hills. 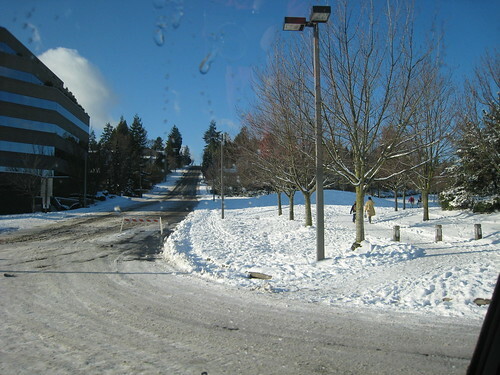 When I finally ventured out on Friday afternoon, I found unplowed, icy roads everywhere. 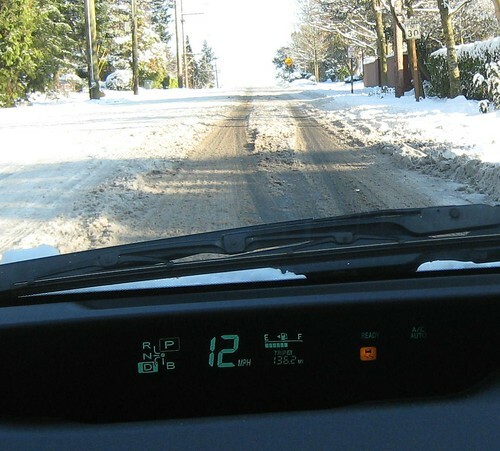 Just look at the ABS indicator on my dashboard, telling me that I’m losing traction as I drive up 40th from Island Crest Way. 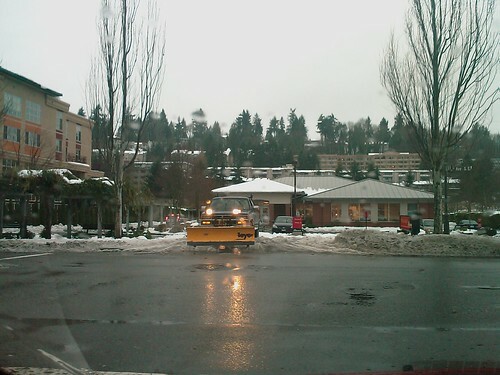 The City of Mercer Island is “prepared with sanders and snow plows to work around the clock if necessary”, according to the Mercer Island Winter Weather Update on the city website, which also includes a map of the snow and ice routes. 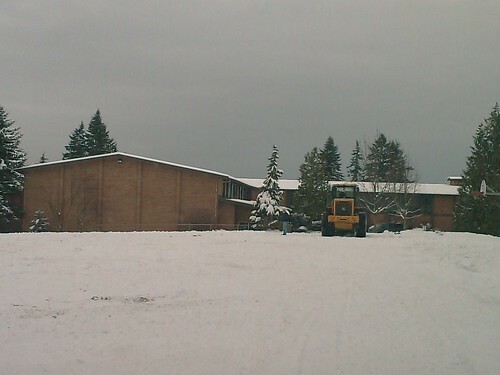 But I saw precious little plowing or sanding yet during my drive. In fact, my Prius was completely unable to make it up the Merrimount Drive hill, in spite of two attempts. Saturday morning looks to be a little better, but maybe not for long. Another big storm is scheduled to hit tonight. Click here to see a map of photos taken during my drive around the island. How do you spell Dan Grausz?